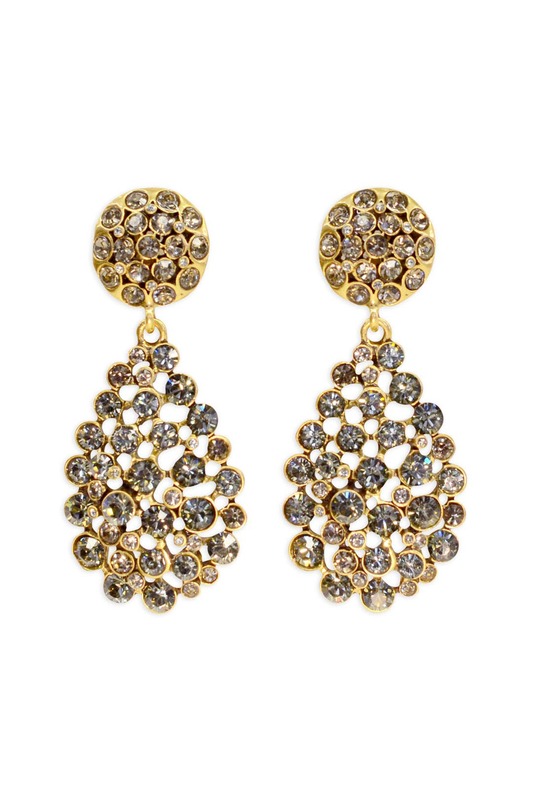 Add a touch of glam to your look with these gorgeous Oscar de la Renta drops. 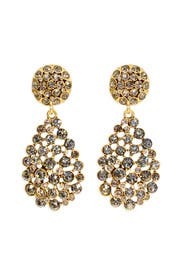 The perfect earring to accessorize with for that cocktail or black tie event. Also available in ocean blue and ruby. 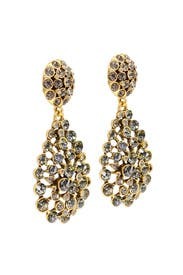 Russian gold plated brass clip-on teardrop earring with pave black diamond glass stones. 2 3/4" long. They are a perfect statement earring! Clip ons, heavy, but pretty! These earrings were amazing!! They look and feel very luxurious but weren't hard to wear. Made me feel like a million bucks! 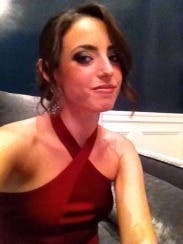 The earrings were beautiful and went with my dress magnificently! The only thing I would have to mention is that over the course of the evening, my ears definitely began to hurt as the earrings themselves are very large and heavy. I'm also not entirely used to wearing clip on earrings but, other then that, they were flawless. I received these for a surprise from Rent the Runway. They are LARGE, SUPER heavy and they hurt my ears. I had to "take a break" from them after a few hours. They really hurt when people would hug you too...The clip ons are necessary because they are so darn heavy. They are pretty and sparkly though. This was a suprise selection from the stylist. The earrings were very pretty but extremely heavy. By the end of the night my ears were killing me. But they matched the dress beautifully, so what's a little pain to look great? They coordinated perfectly with my outfit. They were larger than I expected, but looked great! I was surprised at the condition of the earrings! I don't normally wear clip-ons because they hurt my ears. I was able to wear these from 3:00PM until 2:00AM! They looked as if they had been well cleaned before shipping, and new cushions were attached to the clips. So pretty! Very vintagey but unfortunately like my dress they were kinda big for me, but thats just because I have rediculously tiny ears lol! Very classy though! I bit heavy...put them on right before getting to your event. These are absolutely gorgeous clip-on earrings. 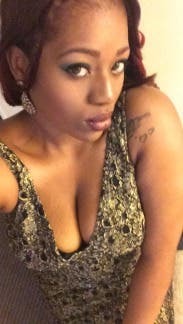 They went wonderfully with my dress and I received a ton of great comments! Only downfall is they are EXTREMELY heavy, by the end of the night my earlobes were so sore. Gorgeous earrings but I couldn't wear them b/c they were too heavy, such a shame! FABULOUS! 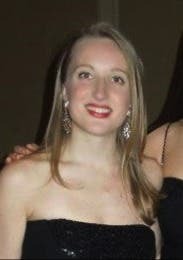 Prefect - I have long hair and wanted some bling for my silver dress. PERFECT! I got a ton of complements. 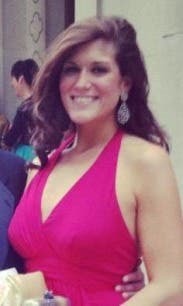 Helped make and outrageous outfit - I wore it with the Badgley Mischka cuff deco bracelet (listed for rental) PERFECT TOGETHER! Lovely accent to a hot dress. These were great. I got them as mystery bling, and they were the perfect compliment to the red lace dress. ONE THING: One was missing a rubber backing, so it slipped off my ear three times during the night. Major bummer, but I still really liked the earrings. 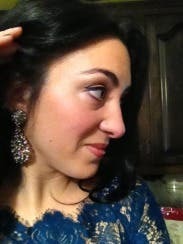 These earrings were perfect for a formal evening. They definitely got a bit heavy after wearing them for a few hours, but they stayed on the entire night (amazing, considering they are clip-on). I got a ton of compliments on them, and really made my look! Gorgeous, but not to be! Great addition to my dress! These were very dramatic and looked very expensive. I got lots of complements on these. They have a great aged patina and almost look antique. Truly a statement piece. You do not need a necklace or anything else. They are a bit heavy, but totally worth it. I'm renting them again. 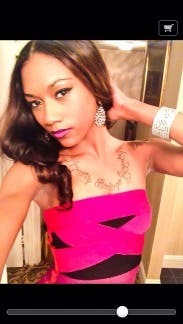 Oscar De La Renta clip on earrings looked so good with my Herve Leger dresses!!! I loved as soon as I put them on, I said "done". They looked great with both of my dresses I rented for the weekend. Even though I didn't have an appointment, I was still able to find what I needed while leaving with the biggest smile on my face!! It was unfortunate that I couldn't wear these ear rings because they are clip ons and one of them wouldn't stay on and kept on falling. I got these earrings as a free upgrade when the earrings I originally ordered came back damaged. I had to make a quick decision on these so I was a little nervous but they turned out great. 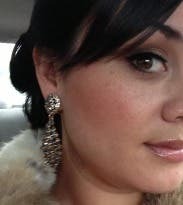 I really liked these earrings and the sparkle they added to my look that night. These earrings are clip-ons. Although these earrings were heaving, they didn't really bother me until the dancing portion of the reception. They really started to weigh on my ears when I was dancing around and I noticed them slipping down a bit, I was nervous they would fall off without me noticing so I ended up having to take them off for the last hour or so of the reception. Other than that an awesome pick! 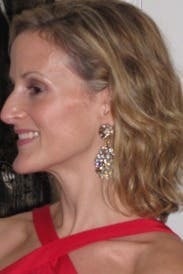 I wore these earrings with the Red Tiebreaker Kate Spade Dress. I knew they'd be heavy from previous review, so I put them on right before the wedding. 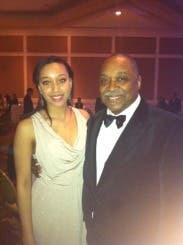 Wore with Lady Bennet Dress, Reem Acra. These are so very pretty in person. I even managed to wear these clip-on earrings for almost 9 hours straight without completely dying. They do have a cushion on them, however after hour 2 you start feeling the weight that wasn't there prior. The earrings are just big enough without being too glitzy (believe it or not) to add the perfect shimmer for your pictures. These are a show stopper! Absolutely gorgeous! Wish I owned them. Compliments all night.